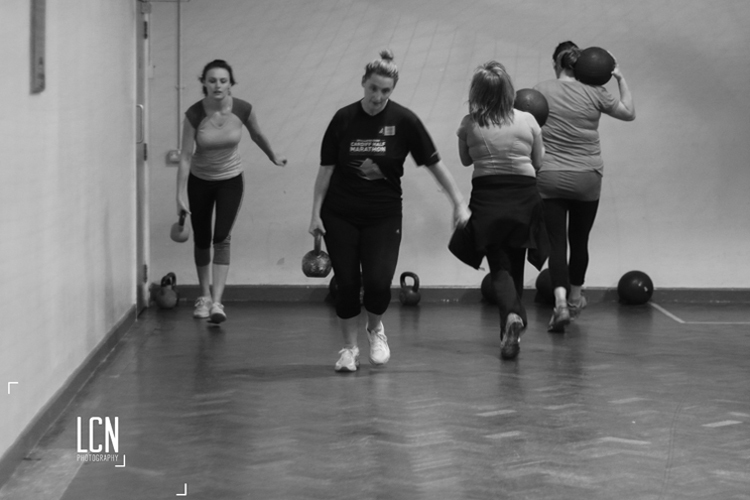 ‘Calon Lan Boot Camp is an indoor exercise class based in Whitchurch in the evenings and Radyr on Saturday mornings. 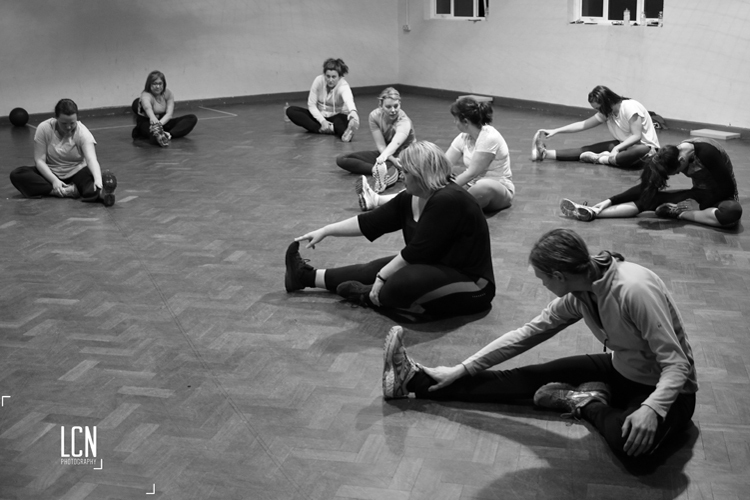 The classes run four times a week and are suitable for all fitness levels from beginners to the super fit! I’ve had a real mix of people over the years, some that haven’t exercised since school, people that exercise regularly, girls in their early twenties and some in their late 50s and 60s. I offer a FREE TRIAL WEEK to all new Boot Campers so that they can try the class before signing up for a month! The workout consists of a combination of strength training and high intensity intervals which are some of the most effective ways of getting fit and losing weight – FAST! The workouts will change with every session and can become harder and more challenging as your fitness levels and strength increase. We will use a combination of bodyweight exercises together with equipment such as slam balls, weights, kettlebells and medicine balls. All exercises are optional and can be done with or without the equipment to suit the fitness levels of each boot camper. As well as the workouts, I will also provide you with nutrition information when you sign up to the class. I am more than happy to meet with you at any time to go through this with you and to help you make long term changes to your health and nutrition. You will receive a cook book with 100 healthy recipes to follow which will help get you on the right track when you sign up, and you will also be added to our boot camp Facebook page where myself and other members will share their healthy recipe ideas with you! 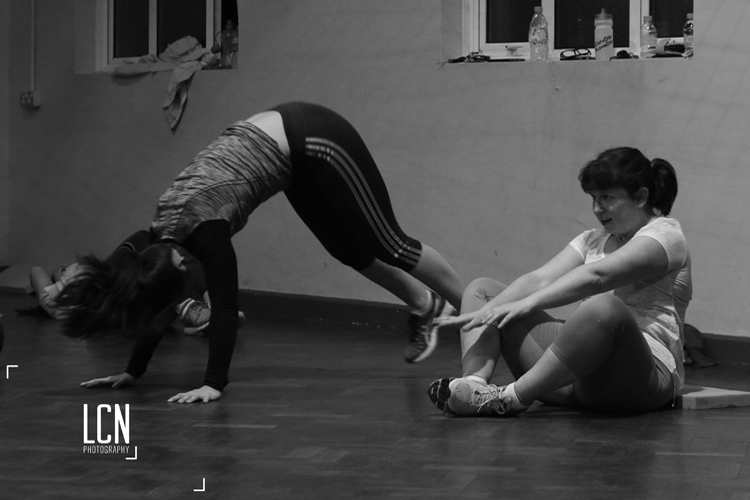 The workouts take place in a fun and friendly environment and we try to have as much of a laugh as possible. We also meet for socials, a group of us walked up Pen y Fan in September last year and in December we meet for our annual Christmas night out with drinks and dancing in the city centre. Sign up for a FREE TRIAL WEEK by clicking on the link below! Please leave your contact number if you have any questions so that I can give you a call and we can chat through any concerns you may have! 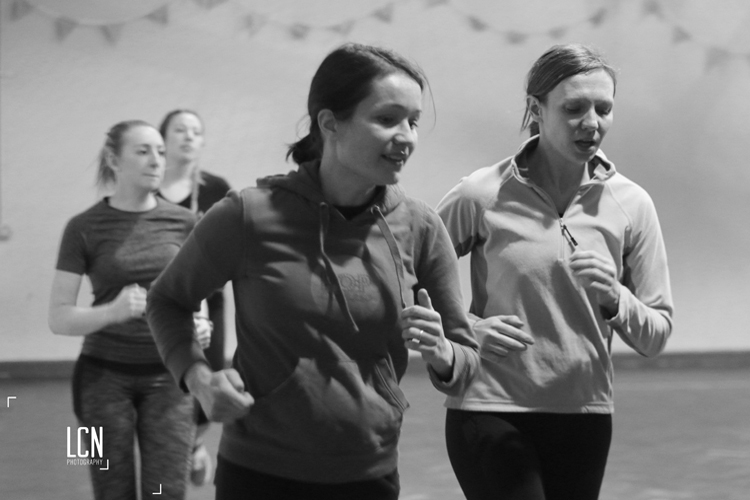 Read a selection of TESTIMONIALS from recent Bootcamp participants.